'Bambella: GIVEAWAY! 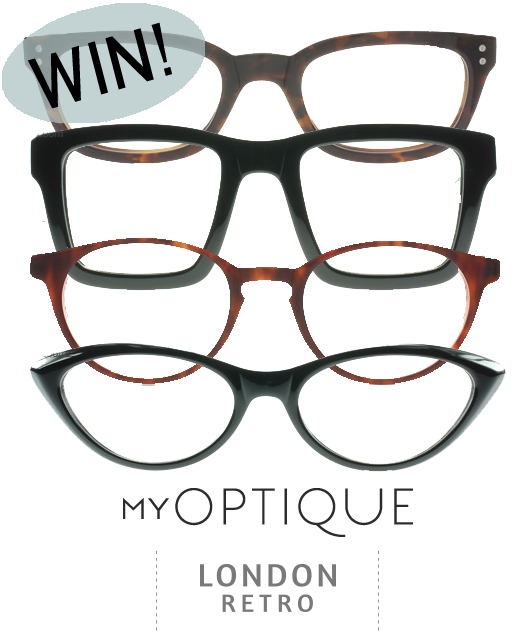 Win Your Choice Of London Retro Glasses From MyOptique! GIVEAWAY! Win Your Choice Of London Retro Glasses From MyOptique! Giveaway timeeee! You may have seen in this post here, I was wearing some beautiful London Retro glasses from MyOptique. They are officially my new favourites and luckily for you lot, you can win a pair of your own! If you don't like the style I picked, do not fear(! ), as MyOptique are letting the lucky winner pick whichever pair they want from their London Retro range! As the winner, you can also choose if you want the frames to be sent ready for prescription, or turned into sunglasses (like mine!). You can enter using the widget below. GOOD LUCK! Gorgeous selection! I just got my new prescription on Sunday (right eye has got worse...arghh!) Eases the blow a bit wearing snazzy specs! I really need a new pair of specs for my Placement next year, these are all GORGEOUS! These are lush. Love these, and I need a new pair of glasses.